3 Things 2016 Taught Me: #2 – Leap! Leap! And Leap Again! 2016 was a year full of lessons for me. Every time I looked around I was learning something new or having something re-iterated to me in a different way. I would even say that I possibly just wanted to pay closer attention to what was happening in my life. Thus, the lessons just meant that much more. So, let me give you a little background on the 2nd lesson 2016 taught me. I am an undergraduate and graduate school alumni. And like most Americans I paid for it on my own. Unfortunately, I never applied for scholarships to assist me. I should have, but I did not. I have a laundry list long of reasons that I never did, but to keep it short, I know that I should have. Fast forward to 2015, I ran across a scholarship for young professionals in the field of procurement. The qualifications were simple. Candidates were to be under 40! That was me. Or they had to have less than 3 years experience in the field of government procurement. That was not me, but I met the first criteria, so I closed my eyes and leaped. Applying for a scholarship was unchartered waters for me, but I leaped anyway. I submitted my application and with much anticipation, my application was declined. The scholarship would have been so helpful. It would have afforded me the opportunity to attend one of the largest national government procurement conferences. Without the scholarship, my chances in attending were slim to none since my company’s budget is not always plush enough for such expenditures. I read the rejection letter with disappointment, but I was convinced I would try again the next year. March of 2016, I saw the enrollment period online for the scholarship. I again completed the application, submitted, and waited for the response. I took another leap. Not much changed from 2015 to 2016, but clearly it was my time and I was awarded the all expense paid scholarship. Talk about elated! I was much more than elated. I was grateful. Thankful. I was also aware of the lesson that came from it. Life will ALWAYS have some moments of let down or disappointment. Things will not go your way 100% of the time. The key is our reactions to those moments. When I did not get the scholarship in 2015, I did not get pissed off and damn the entire scholarship agency to Pluto. I regrouped and thought about what I needed to do differently. In this instance, I needed to just be patient and get ready to take the next leap. In 2017, know that there will be areas that may not be favorable in your eyes, but the bigger picture is that you must continue to leap. It’s the unchartered territory that we are sometimes required to travel in order to see our goals come to fruition. You must continue to take strides towards whatever the goals are that you set forth. I leaped from 2015 right into 2016 right into my scholarship! I will continue to leap and I encourage you to do the same! This week’s interview has to be the most special interview I’ve done thus far. You know how they say you come in this world alone? Well, that’s not always true. I am blessed to say I was born a twin to this week’s interviewee, Christina Webb. We came in this world together! Well…technically, she slid in twenty-eight minutes before me, but I’ll always say we came here together. I love this girl so much and I have been afforded the opportunity to watch her grow into an intelligent, beautiful woman the past thirty-one years of my life! If following your passion was a gift, I’d say Christina definitely has a gift. 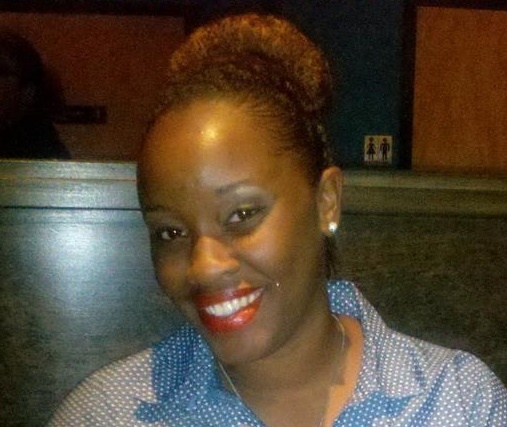 Check out her interview on her passion and why I feel she’s living it OUT LOUD! My passion is track and field. What are you currently doing to display your passion? 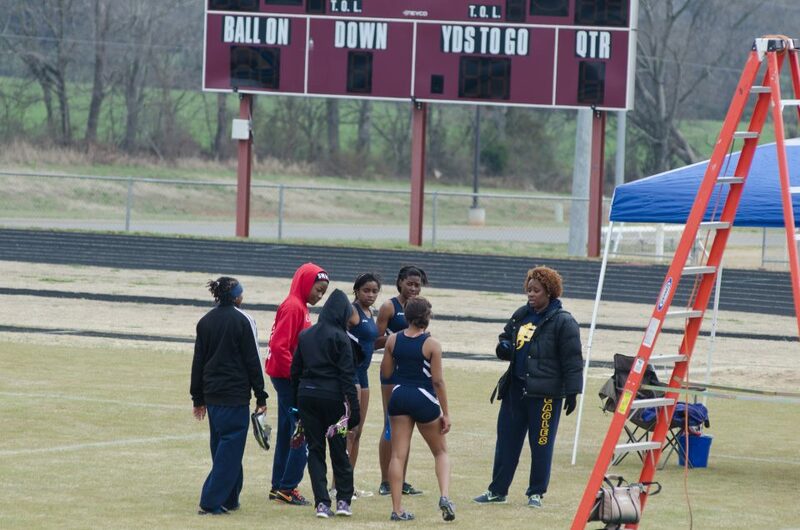 I am currently coaching one of the top track teams in the state of Tennessee, Northeast High School! I’ve seen them run and they are definitely tough competition for any team. Did you always see yourself coaching? Did you always consider it to be a passion? I have been coaching since 2001. I didn’t always know that I would be a coach and that I would enjoy it so much. I began participation in track at the age of 13. I fell in love with the sport at that time. I enjoyed being a part of a team environment and then my competitive edge began to kick in. But even with all of that I never foresaw myself being involved in the sport long-term. It’s amazing how passions develop over time. They are birth out of inconspicuous moments. What are your most proud moments as Coach Webb? Today I enjoy working with young kids and seeing them improve as athletes and as leaders. I am glad when I know that I have played a role when an athlete feels special because they just got a new personal record or that an athlete got a college scholarship to run and it helps to alleviate some of the college expenses. As a coach, how do you determine the best workout routine or the best way to develop your team? I look at how the workouts have progressed over the week and review what the goals have been from week to week. I try to realize what their strengths are as individual athletes. So, who inspired or what inspired you most to begin coaching track? My parents and coaches inspired me the most to live out my passions. They each pushed me to be the best and to never give up. My personality has an obsessive component to it and so once I start something I can’t stop. I can’t stop right now with coaching and working with young people. Do you hope that you inspire any of your athletes to develop a passion for coaching ? I really just want them to develop a passion for something in their life. It doesn’t have to be coaching. I just really hope for them to have a passion for something positive, whether it be a doctor, teacher, or whatever they decide. I just want them to be passionate about something. In ten years, what do you hope to be doing with your passion as Coach? I hope that I am still coaching and that my team, wherever I am coaching, has won several state championship titles. I hope that many of my athletes have gone on to college whether for track or academics and maybe one or two will be competing on the professional level! I am proud to say I know this passionate woman and can call her my twin sister, but better yet, it’s always good to know people who’s passions are positively influencing the future! Kudos Coach Webb and keep LIVING YOUR PASSION OUT LOUD!